Fleming’s White Bridge is “The Park” in Killarney. “Space” is what defines us from others; we are a 10 hectare site. There is a real country feel about this park, yet only a walk into the world famous Killarney. 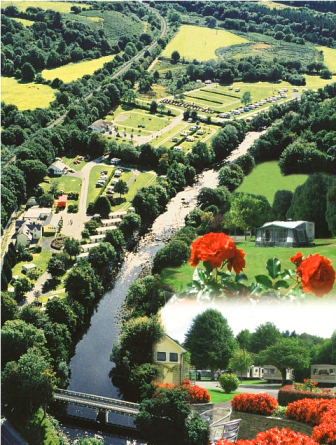 Fleming’s White Bridge is a first class site whether you are holidaying in a tent, touring caravan, motorhome or in one of our luxury mobile homes. Holidays are made of memories …..take a few days away and let us at Fleming’s White Bridge, help you to have the most wonderful and memorable Killarney and South West of Ireland experience. We are delighted to help arrange local activities and direct you to some of our magnificent scenic spots. Join a tour, ramble independently, whichever way you would like to holiday, we can help guide you along the way. Fleming’s White Bridge is an ideal base to explore Killarney and the South West. A fantastic choice with tourist attractions, activities, restaurants, bars and shops all nearby. Why choose Fleming’s White Bridge? Impromptu Music Sessions on site – Bring your instruments!! Club Rallies are most welcome to our lovely site and are very well catered for, contact site direct. Special Rally location – full information provided. Meeting room for gatherings and welcoming flag night etc. Sit back and let us organise your whole rally for you. This is an ideal base for any rally lasting from 7 to 21 days and the site has proved to be an impressive experience for rally leaders.